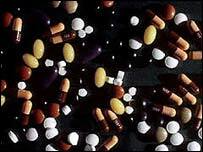 The government has called for more research into drugs that are given to children. Around 40% of medicines prescribed to children have never actually been tested on children. For newborn babies, the figure is 65%. Ministers say more needs to be done to ensure existing and future drugs are safe for children to take. They also announced plans to publish a new book for doctors, advising them on what drugs should be given to children. Most drug research is carried out on adults because it is ethically simpler to obtain consent from them. But campaigners have been warning for some time that doctors need much more information about what drugs, and what doses, should be given to children. Doctors and parents alike will welcome these new guidelines. The Department of Health says it wants to make sure that when a drug is prescribed for children, it is going to be effective, and that the right dose is given. A European Regulation is being developed which will encourage more drug companies to make medicines specifically for children. However, it is not expected to be adopted until 2006. The Department of Health said it wanted to raise awareness of the need to take action now. Part of the £100m research funding announced in the Budget will be allocated to promote research into drugs for children through new networks co-ordinated by the UK Clinical Research Collaboration. The Royal College of Paediatrics and Child Health will help produce an encyclopaedia of medicines for children, expected next year, similar to the adult version called the British National Formulary. Health minister Lord Warner said: "I want the new strategy that I have announced today to give a strong message to pharmaceutical companies to focus on the needs of children when developing new medicines. "Health professionals need the latest information so that they can make the right choices about the medicines and treatments for their younger patients, and that is why the new British National Formulary for Children is so important." The government is also updating patient information leaflets to ensure they provide better information on the use of medicines in children. Professor Rosalind Smyth, chair of the Committee on Safety of Medicines Paediatric Working Group, said: "Children have the right to the same standards for medicines as adults and this strategy is another step towards achieving this." Professor David Haslam, chairman of the Royal College of GPs, said: "Doctors and parents alike will welcome these new guidelines. "The great majority of drugs prescribed for children by GPs do not pose a problem, but increased consideration of child dosages by drug companies will certainly be helpful when dealing with rarer and more complex medicines." "The majority of drugs prescribed to children are just smaller doses of what an adult would get"